Large paper clip with geeky pumpkin embellishment. So sweet! 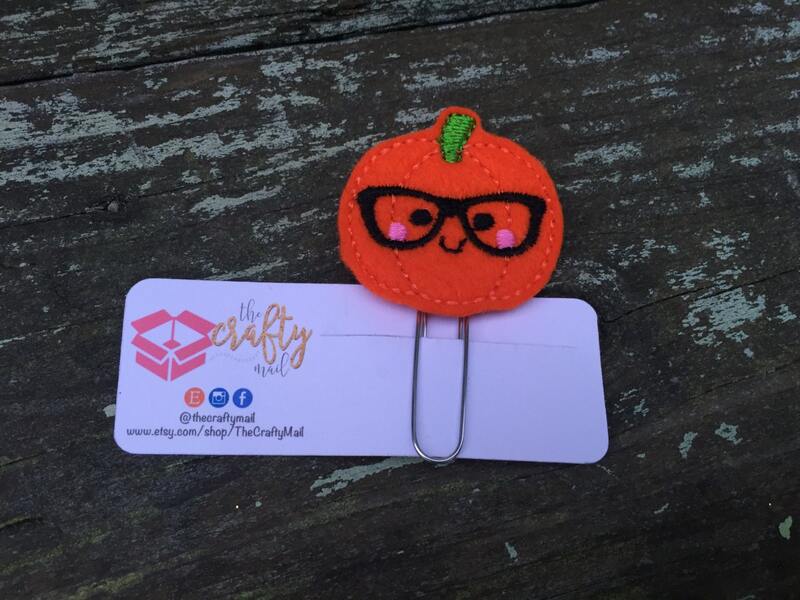 Love this orange pumpkin with glasses and sweet kind face! Fantastic detail! Great quality!